Struggling Florida homeowners got some good news Friday: The state is eligible to get up to $327 million in additional federal Hardest Hit Funds to help reduce foreclosures and stabilize communities slammed by the housing bust. The not-so-good news: The state might have been eligible for even more had it done a better job of using the money it originally was allocated. 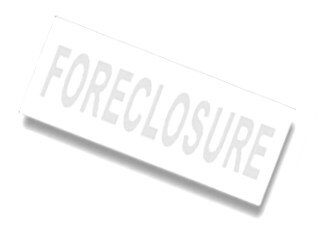 The U.S. Treasury Department announced Friday that it is adding $2 billion to the $7.6 billion Hardest Hit Fund, created in 2010 to help Florida and 17 other states with high rates of foreclosure. It also said that the fund's life will be extended to 2020, three years later than planned. "While the housing market has strengthened in recent years, there are still many homeowners and neighborhoods experiencing the negative effects of the financial crisis," said Mark McArdle, Treasury's assistant secretary of financial stability. Florida originally was allotted $1 billion, which it is spending in a variety of ways, including principal reduction, bringing delinquent mortgages current and helping seniors with reverse mortgages pay their property taxes and home­owners insurance. However, the federal investigator who oversees Treasury's management of the Hardest Hit Fund says Florida has consistently "under-performed'' other states in its use of the money. Florida has spent just 56 percent of its share while Michigan, Rhode Island and several other states have already used so much of their allotments that they have stopped taking applications. As of September, 116,484 Floridians had applied for help but only 24,071 had received it, barely one in five. Treasury officials said the $2 billion added to the Hardest Hit Fund will be allocated in two phases. In the first phase, states that opt in by March 4 can receive extra funds based on their population and how "effectively'' they have used Hardest Hit money to date. Florida will be eligible for $77.9 million. That is less than what three smaller states — Illinois, Ohio and North Carolina — are eligible to receive and reflects the fact that Florida has been less effective in helping struggling homeowners. In the second phase, states have until March 11 to request an amount equal to 50 percent of their original Hardest Hit allotment, or $250 million, whichever is less. Because its original allotment was so large, Florida could receive the full $250 million, bringing its grand total of Hardest Hit funds over the years to $1.33 billion. The Florida Housing Finance Corp., the state-run agency that administer's Florida's Hardest Hit Fund, said it is reviewing how best to use the extra money. "Since 2010, when the federal HHF program was announced, Florida has been deliberative about developing and implementing programs that respond to the housing market challenges in our state,'' spokesperson Cecka Green said in an email. Although the agency has six different Hardest Hit programs, critics say it has done a poor job of actually getting the money out to desperate homeowners. Many people complain that they are repeatedly asked to submit the same documents and forced to wait months, only to eventually be turned down. Florida has among the longest waiting times and highest rejection rates of any Hardest Hit state, records show. Critics also have questioned why Florida is using up to $50 million in Hardest Hit money to make down payments and pay closing costs for people buying homes in Hillsborough and four other counties instead of spending money to help people stay in homes they already have. Pam Marron, a loan originator in Pasco County, said she hopes the state will use at least part of the extra money to help underwater homeowners with second mortgages. Currently, only borrowers with first mortgages qualify for a popular principal reduction program and then only if they owe at least 115 percent more than their homes are worth. "The problem is that people may be 109 percent underwater on the first mortgage but they're 140 percent underwater when you factor in the second mortgage,'' she said. "They need to apply (Hardest Hit money) toward both the first and second mortgages. Marron noted that Florida still leads the nation in the number of severely underwater borrowers — 1.1 million, including more than 100,000 in the Tampa Bay area.